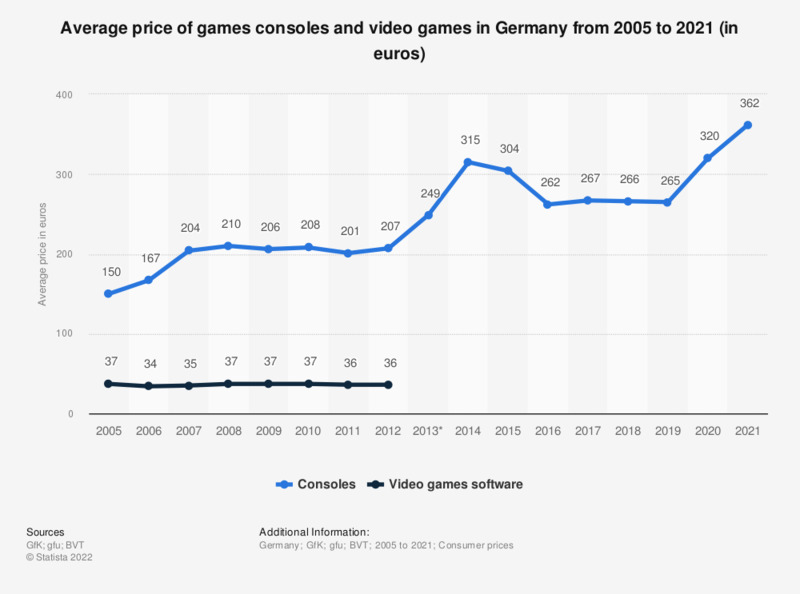 This statistic shows the consumer price development of games consoles and video games sold in Germany from 2005 to 2017. In 2017, the average price for a gaming console was 267 euros. HEMIX (Home Electronics Market Index) is focused exclusively on the consumer market (private demand). The figures depict consumer prices including VAT. * From 2013 onwards, the source no longer specified the average prices of video games.